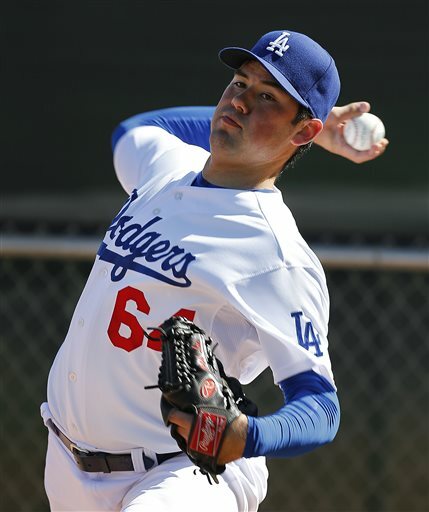 Dodgers add four pitchers to Arizona Fall League roster. Four pitchers from the Dodgers’ minor-league ranks — Chris Anderson, Joe Broussard, Ralston Cash and Corey Copping — were added to the roster of the Glendale Desert Dogs for the upcoming Arizona Fall League season. The Desert Dogs’ roster features players from the Dodgers, White Sox, Cardinals, Nationals and Astros organizations. Anderson, 23, split the season between Double-A Tulsa and Single-A Rancho Cucamonga, going 4-8 with a 4.81 ERA. Broussard, 25, spent time at Rancho, Tulsa and Triple-A Oklahoma City this season. He compiled a 1.80 ERA in 70 innings, all in relief, across the three levels. Cash, 24, went 9-3 with a 2.87 ERA in 69 innings out of the bullpen at Tulsa and Rancho Cucamonga. Copping, 22, went 2-2 with a 4.50 ERA in 28 innings out of the bullpen at Rancho Cucamonga. Second baseman Willie Calhoun, first baseman/right fielder Cody Bellinger, and outfielder Alex Verdugo will also compete for Glendale this fall. All three finished the season on the roster at Oklahoma City. The AFL begins play Oct. 11 and ends Nov. 19. Dale Thayer, Chris Anderson among the pitchers headed to Double-A Tulsa. Former San Diego Padres pitcher Dale Thayer, whom the Dodgers recently signed to a minor league contract, will begin the season at Double-A Tulsa. Thayer, 35, made 38 appearances for San Diego last year, posting a 4.06 earned-run average and a 4.73 WHIP. The Fountain Beach native prepped at Huntington Beach Edison and broke into the majors with the Tampa Bay Rays in 2009. He’ll be joined in Tulsa by right-hander Chris Anderson, who will pitch out of the Drillers’ rotation after making a couple appearances out of the Dodgers’ bullpen in spring training. 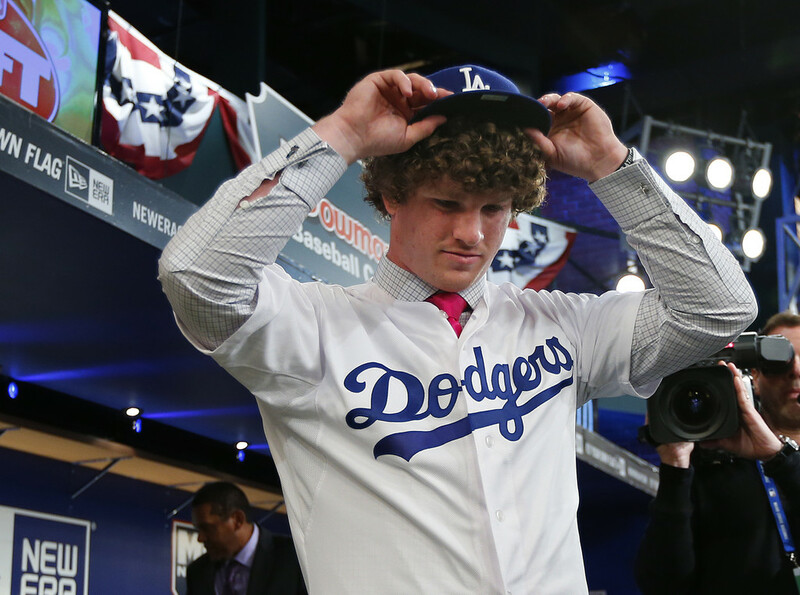 Anderson, 23, was a first-round draft pick by the Dodgers in 2013. He made 23 starts for Tulsa last season, going 9-7 with a 4.05 ERA, and made three appearances for Triple-A Oklahoma City. Cody Bellinger and Alex Verdugo, both of whom saw Cactus League action with the Dodgers this spring, are expected to anchor the Double-A lineup. Barry Lewis had a nice story about them for the Tulsa World website today. Zach Lee, Alex Verdugo named Dodgers’ minor league pitcher, player of the year. SAN FRANCISCO — Zach Lee and Alex Verdugo were named the Dodgers’ Branch Rickey minor league pitcher and player of the year, respectively, on Thursday. Lee, 24, has appeared in 22 games this season — one with the Dodgers — with the majority coming at Triple-A. He also won the award in 2013. Verdugo, 19, opened the season at Single-A Great Lakes and ended it at High-A Rancho Cucamonga. Grant Holmes, Cody Bellinger, Josh Sborz, Philip Pfeifer headline fall instructional league roster. The Dodgers have invited 60 minor league prospects to their annual Fall Instructional League, which begins next week at Camelback Ranch in Glendale, Arizona. Julio Urias, Corey Seager, Joc Pederson among top 11 prospects (FanGraphs.com). 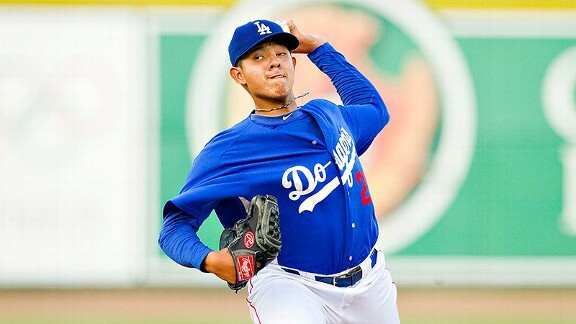 Julio Urias, Corey Seager and Joc Pederson continue to lay waste to the 2015 prospect rankings. In the latest glorified opinion, Urias is fourth, Seager is sixth, and Pederson 11th on FanGraphs’ Top 200 prospect list. Right-handed pitcher Grant Holmes, the Dodgers’ first-round pick out of high school last year, is 89th. Andrew Heaney, whom the Dodgers traded to the Angels to acquire Howie Kendrick, is 50th. Pitcher Chris Anderson and outfielder Alex Verdugo also made the list but were not ranked (players 143-200 were not assigned a specific numerical ranking). For Urias, Seager and Pederson, it’s time to play baseball. The Sporting News, Baseball Prospectus and MLB.com all ranked the three prospects similarly high on their lists. (BaseballAmerica.com, we’re waiting.) All of this makes their arrival in major-league camp one of the top storylines of spring training — which I wrote about over the weekend.